As the curtain falls on the trial that has been dubbed the trial of the century, it is the end of one tragic chapter in South Africa’s golden boy and sporting hero Oscar Pistorius’ life. Equally, it is the end of a very sad period in the lives of former model Reeva Steenkamp’s family which has lost a bread-winner and a dedicated young woman on her way to stardom. But for both, this also signals the beginning of another episode of moving on in with their lives. But how does one move on after this experience? In this week’s Special Assignment we take a look at the lessons that can be learnt from history’s most covered trials. 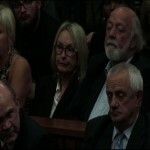 Despite the judgement, many questions remain unanswered about Reeva Steenkamp’s death. Pistorius shot and killed his girlfriend Reeva Steenkamp, who was also rising in fame on the South African modelling scene. In the course of the trial, issues around domestic abuse and the rise in violence against women were raised. Is that issue relevant in this matter? What about the legal lessons that emerged in this case? The role of the media has also been put under the spotlight, as many stopped at nothing to dig into Pistorius’ private life, as well as the Steenkamp’s family life, to be the first with the juiciest scoop every week? Lastly, concerns around the “Missing White Woman Syndrome” were raised, when once again; the death of Steenkamp was juxtaposed with the death, under almost similar circumstances, of a black woman – Zanele Khumalo. 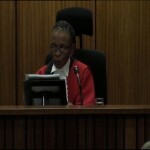 Her murder in 2011 failed to hog the headlines until later on in her murder trial and in fact, the proceedings went on next door to the Pistorius trial, without much attention drawn to it. Reference was also made to similar circumstances in the deaths of Leigh Matthews and Betty Ketane, whose coverage in the media was unequal. 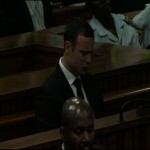 Watch “OSCAR PISTORIUS: THE VERDICT” produced by producer Richelle Seton-Rogers. It will be broadcast on Special Assignment – on SABC 3, Sundays at 20:00PM.